Mega Evolution rule : Its A Party! Pokémon-EX rule : I choose YOU! 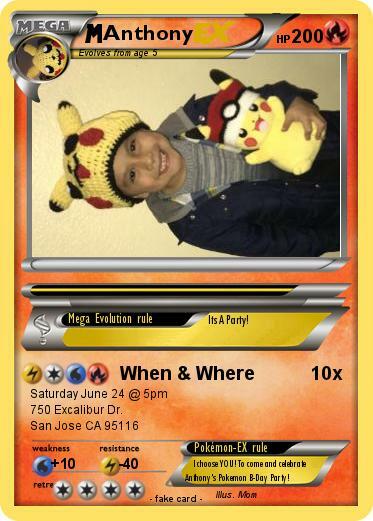 To come and celebrate Anthony's Pokemon B-Day Party!